NCAA March Madness has begun. 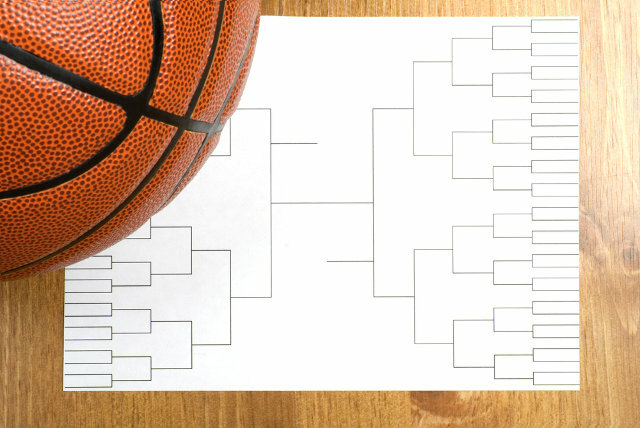 You’ve stocked up on chips and drinks, picked your brackets and warmed up your cheers for your favorite team. There are 67 games waiting for you to watch from today through April 4 — but wait, you have no cable TV or you recently cut the cord. Good news: streaming the game broadcasts will be easier this year thanks to the partnership among the NCAA, CBS Sports and Turner Sports. This year, you can watch every game live online via NCAA March Madness Live, Bleacher Report and CBSSports.com. Only the 21 games being aired on CBS will be available to watch free without a cable or satellite TV subscription. You can also stream the game broadcasts through the free NCAA March Madness Live app for the following platforms: Android, Chromecast, Amazon Fire TV, iOS, Roku and Windows 10. For the Apple TV, just search for “NCAA March Madness Live” in the tvOS App Store. TBS, truTV and TNT — all pay channels — will be broadcasting the games live, but you will need login credentials to watch the 46 Turner Sports games, including the Final Four and the championship match. If you don’t have subscriptions to those networks, you can take advantage of the three-hour free access on any of those pay channels to watch one complete game and a half game for free, or you can carefully plan watching the second half of each of three games. The three-hour grace period will likely not apply for the Final Four and the championship games. Without cable or satellite subscription login credentials, your next best alternative is to watch the broadcasts at a local sports bar or go to a friend who has cable at home. If you don’t mind spending $20 to watch the 46 Turner Sports games, Sling TV offers a “Best of Live TV” package that gives you access to both TNT and TBS. You can also get free access to truTV if you subscribe between March 13 and April 12. Since Sling TV won’t hold you to a long-term contract, you can choose not to renew your subscription at the end of the tournament.